The desired outcome of the workshop is to provide basic tools to help participants develop a “roadmap” to move from project concept to project design. Some of these initial documents can later be developed into full-fledged proposals to access suitable financing sources, including domestic and international options. During the five-day conference, you will not have sufficient time to fully develop a project design document, rather you will be able to leverage the experience and expertise of the UNDP and the USAID Adapt Asia-Pacific project to develop a clear plan that outlines the steps, responsibility, and timeline for completing the project design document as well identifying where additional necessary support can be mobilized. At the same time, the workshop will familiarize participants with the basic concepts associated with blended finance and public-private partnerships to strengthen scaling-up and sustainability of the proposed concepts. 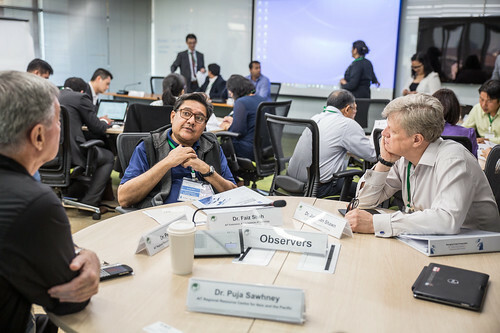 Skills developed in this course will enable participants to eventually develop proposals for larger funds, including the Adaptation Fund and the Green Climate Fund. Session recordings and interviews coming soon.